Looking back at my 2012 end of year review I managed to stick to my routine of watching less TV/Movies & enjoy gaming more this year. I also predicted last year that 2013 was going to be an amazing year for gaming thanks to my back catalogue, I did not manage to complete all the games I mention but compared to the 10 completed in 2012 I managed to complete a staggering 28 games !! Some of these games were truly an amazing experience & it was very difficult for me to choose a game of the year because there were so many great games that I had played from Skyrim, Ni No Kuni, Tomb Raider the amazingly fun Lego City Undercover to the beautiful Journey, Walking Dead, Last of Us, X-Com & Assassin's Creed 4. But above these all it was Red Dead Redemption that was my game of the year. I have always loved watching western movies from the classic John Wayne, Clint Eastwood's to the modern Tombstone, & 310 to Yuma. 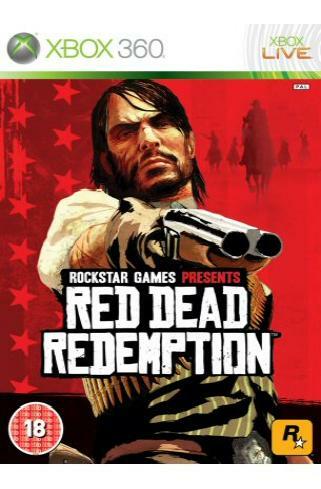 Rockstar gave gamers the chance to realise their love for the western genre in Red Dead Redemption & what an action packed gun touting adventure it was, like many others I look forward to the next game in the series..
Splurge wise it was a complete failure and I quote "I am really going to try and spend as little as possible this year on gaming, I will not be buying any of the new consoles on release & have no desire for a Wii U. With my iOS stack of games, back catalogue of 360/PS3 games & steam pile of shame I think I am spoilt for choice" I don't need to say any more apart from the fact that "I AM WEAK"
2014 Predictions then I plan to continue delving into my back catalogue especially to complete Deus Ex HR, Mass Effect 2/3 & the Bioshock games but my main focus will obviously be on the PS4 & waiting for the new games like Destiny, The Division, Watch_Dogs, Mad Max, The Order & hopefully Fallout 4. From the hardware I own the PC & the Vita have been neglected quite a bit so hopefully in 2014 I hope to at least complete a few games on each. 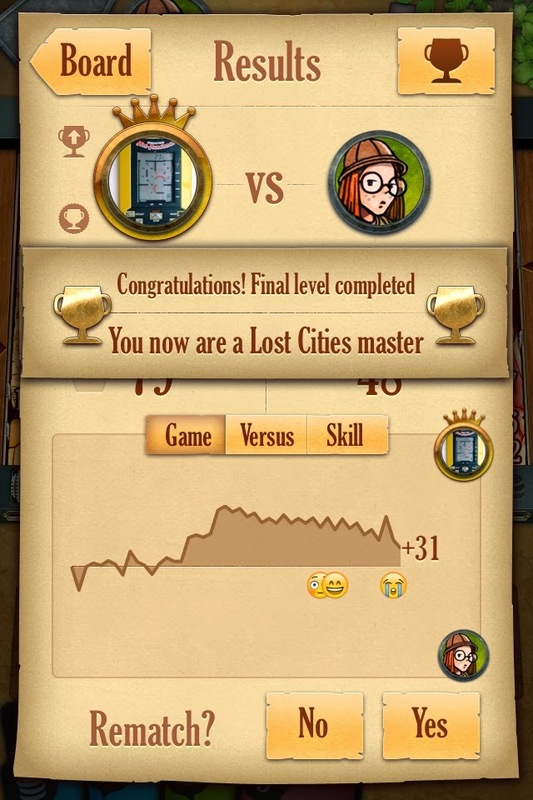 Finally completed all the single player challenges to become a Lost Cities Master. 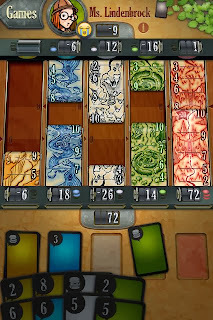 The last challenge of not having a single card in the discard pile prove especially difficult especially against the CPU player. Max finally got to his last case, I won't spoil the game but just to say that it is very tough & you will need to carefully think about which powers to use & when. After winning the case you get to choose your ending. 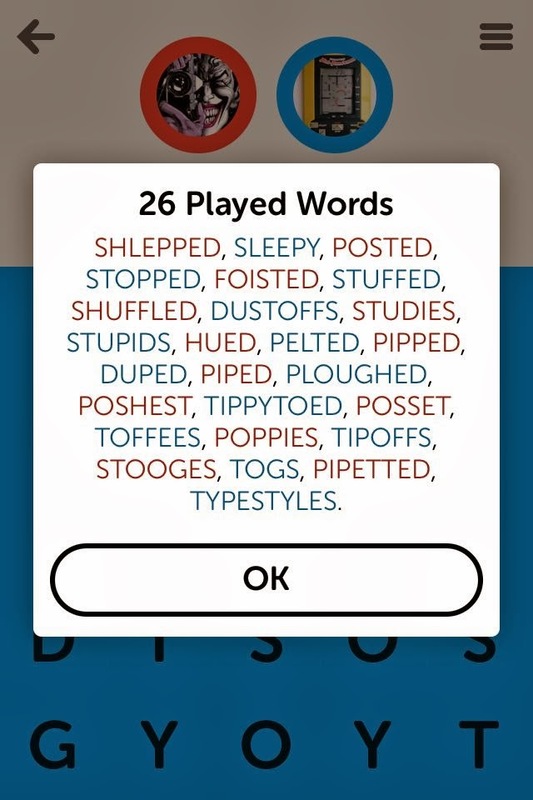 I tend to spend most of my time on iOS playing multiplayer games so it is good to sit back and enjoy a single player experience. The past few years, Assassin Creed games have been Christmas gaming for me & this year AC4 did not disappoint with a swash buckling pirate adventure. It is the Journey of Edward Kenway from a man leaving England looking to make riches whatever the damage he may cause to eventually finding a purpose & a meaning to his life. 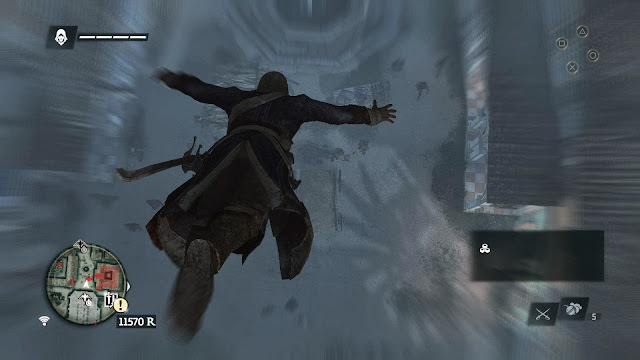 I did not enjoy the ship battles in AC3 but in this game they have been redesigned & you have full control of your Jackdaw. All the weapons are available with easy access from he mortar, fire barrels & heavy shot. Once you have damaged an enemy ship enough you get the option to board which then involves you killing a certain number of the enemy crew & other small tasks depending on the ship. The option to repair your Jackdaw after a boarding is an easy way to avoid your ship getting destroyed when taking on a fleet. There are so many side quests in the game from Assassin contracts, Mayan puzzles, Treasure Maps, Underwater wrecks, Kenway's Fleet mini game & much much more that you can very easily get distracted from the main quest. I managed to complete most of these with only a few shipwrecks left to explore, on the world map you can also collect animus fragments & chests but these don't really reward you much in the game & I had begin to tire of the 'gotta collect them all' gameplay. Playing the game on the PS4 with all it's hardware prowess really made the experience that much more enjoyable & the share ability allowed me to take screenshots & create videos with ease. The Ubisoft formula (main quest will added pointless filler collectibles) being applied to almost all of their releases like the AC, Far Cry & upcoming Watch_Dogs is getting very predictable but where do excel is in the main quest & relevant storyline which is why I expect that next Christmas I will be playing the next assassin creed game in the series. 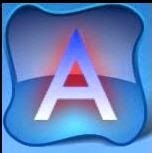 Assassin's Creed 4 - Ahoy !! 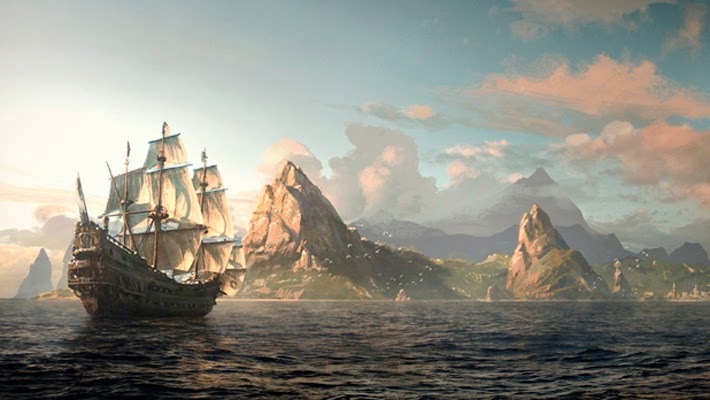 I am sailing across the Bahamas with the crew singing “Drunken Sailor”, looking through my spyglass I see a Spanish Brig in the distance which is carrying some Metal. Full speed ahead to chase it down, I fire off the chase cannons to grab it’s attention & launch a few chain shots at the mast. Pull up alongside & pummel it with two shots from the broadside cannons. Time to board but before I do a quick use of the swivel gun to take out some soldiers, then swing across for some sword based combat. 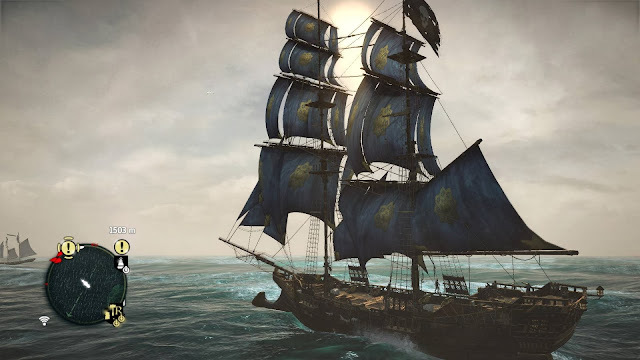 Defeating the crew I send the Brig to join my fleet & return to the Jackdaw. Ubisoft have jam packed this game with side missions, collectibles, assassin contracts, hunting & treasure maps that I have not progressed much in the main story. I have spent the majority of my time just looking at the map picking a location & sailing to that destination whilst getting distracted along the way by many ship battles to loot materials required for upgrading the Jackdaw or getting another ship to join my fleet. 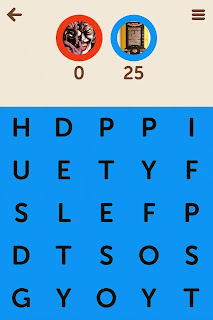 Kenways Fleet is a mini game which has you controlling a fleet of ships to send to various locations across the oceans. You mainly sell goods to gain money but you will also discover various items like treasure maps, ornaments & new routes The companion app that comes with this game you can use to control your fleet, check your treasure map & whilst playing the game doubles up nicely with a game world map. Through the main mission the game slowly introduces tutorials explaining a new distraction for you, I have not yet taken on any of the various forts on the world map or any harpooning. I also do not know what else the game has hidden to surprise me with but for now I am just happy being a pirate. 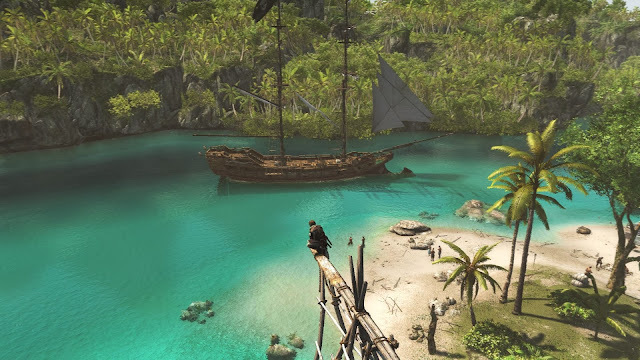 The Jolly Roger is waving in the wind, time to drink back some rum & set sail for my next adventure. I managed to take over the whole board in a recent game against Arkham. 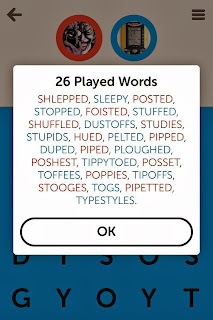 I used Jochta's advice and went for the corners early on working my way round to eventually take over the whole board. 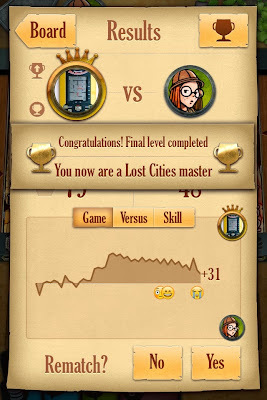 When playing against the CPU in Lost Cities there are various goals the game sets for you to try and get. 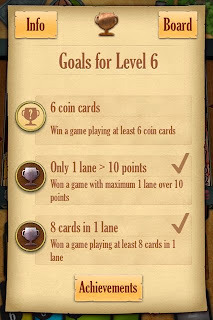 I have been stuck on level 6 for quite a while now trying to complete the top goal of 'winning a game playing at least 6 coins cards'. 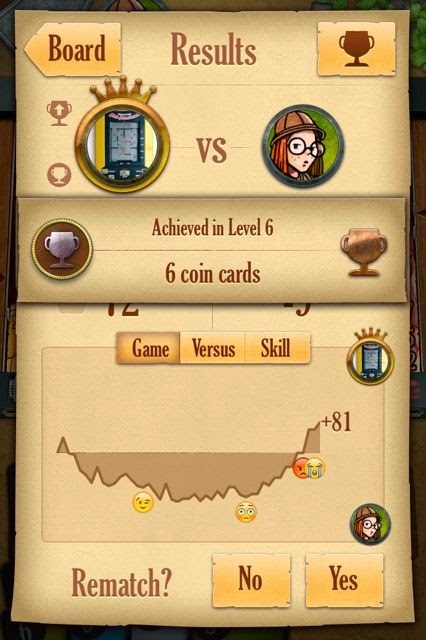 I completed that goal today winning the match by playing seven coin cards. 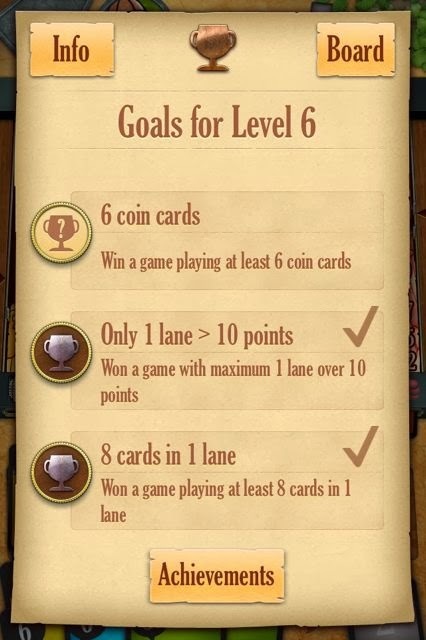 To complete this goal depends on what cards you get drawn at the start of the game, I was lucky to get two red coin cards & a blue to start the match. I have decided to leave Dishonored for now & concentrate on playing something on the PS4 (guilt trip), my first attempt at Killzone multi-player was awful because I did not know what I was doing or the controls. I always seem to play better in FPS games when I am a support class. Helping to revive downed team-mates & focus on playing a more careful role with getting kill assists. Our team won & I managed to get 3rd in the scoreboard. Will look at starting the single player campaign & hopefully getting more practice on the on-line modes with huricanepilot. Next to the television I have a small blue bag, inside this bag you will find a PSOne (baby white) with Metal Gear Solid & Front Mission 3. This bag also has a second larger pocket which has a PS2 Slim and a collection of games including Simpsons Hit & Run. Under the TV I have three shelves & on the bottom shelf you will find my one & only Playstation 3 console (original edition) & the only retail game you will find on my shelf is Metal Gear Solid 4 everything else is installed on the hard drive. I sold my US Super Nintendo console with 18 to 20 games inc lots of RPGs to CEX in London to purchase an import Jap Playstation 1 with Ridge Racer & Tekken on release. The PS1 was my only console that I purchased on release & introduced me to some of my best gaming years with the likes of Metal Gear Solid, Resident Evil, Final Fantasy 7, Front Mission 2, Parasite Eve, Tomb Raider, Xenogears, Suikoden, Final Fantasy Tactics, Castlevania - Symphony of the night, Gran Turisimo & I could go on for ever. It was for me one of the greatest consoles ever made (only pipped by the GBA Micro & the US SNES I owned). I am not sure if it is Sony's excellent E3 showing or the recent games I have completed on the PS3 (Journey, Last of Us) but somewhere in the last six months I have found my love again for the Playstation brand. The PS3 was totally neglected because the 360 became the default console for gaming in the last five years, thanks mainly to it's controller & live experience. I was wavering quite a bit about my PS4 pre-order but finally decided to stick & Martin delivered my PS4 on Friday at 17:03. After plugging the console in and upgrading the system firmware to 1.51 it was time to play the games. I purchased Killzone, AC4, & digital downloads of Resogun, Contrast & Flower. The controller is lovely, the triggers are much better which was my biggest gripe with the PS3 controller. The battery life however is poor, I managed about four hours, hopefully in a future firmware update an option to turn off the controller light will improve the battery life. The touchscreen section of the controller is nice & on Killzone you use it to control your robot companion. I tried the camera with the Playroom software, the kids enjoyed flicking robots around & drawing items on the phone to flick to the tv screen. The camera is really useful when using twitch to stream gaming you can use the inbuilt microphone to talk to you followers which is much better than the rubbish ear-set supplied (I have ordered an over the head set). The games then, Killzone is the obvious graphical showcase & does look amazing, it is a generic shooter like so many but at least it looks lovely. Resogun is the main game I have been spending time with, it is the PS4's answer to Geometry Wars & is amazingly good fun. I love the various special effect, explosions & all at a blistering fast pace. Abbas played the Fifa 14 demo & is currently playing AC4 which uses the touch pad to control the game map. Remote play works very well on the Vita, I tested Killzone & Resogun with no slowdown that I noticed. On-line gameplay of Resogun with HurricanePilot, I created a chat party which he joined & then he sent me an invite from the game, all of which worked well but with the occasional slowdown not sure if that was due to the PSN servers, internet connection or the game? 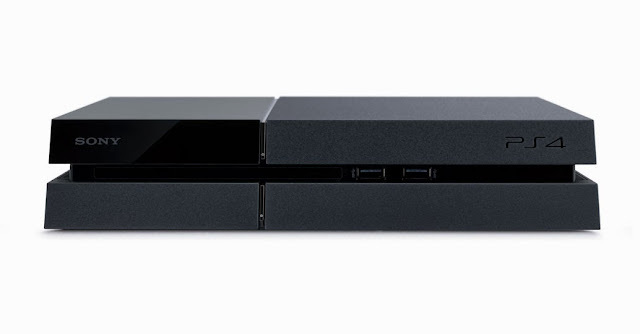 At £350+ (inc cost of the games) it is an expensive purchase which I mainly made because I wanted to play the multi-platform games like AC4, Watch_Dogs & Destiny on the most powerful console. This time next year we will start to see more games being released only on PS4/XB1 hopefully in the next few days news of a new Fallout 4 would be awesome. 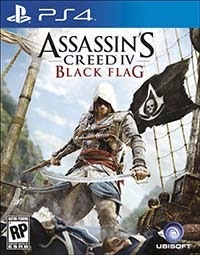 For me however Greatness Awaits in playing Assassins Creed 4 over xmas.